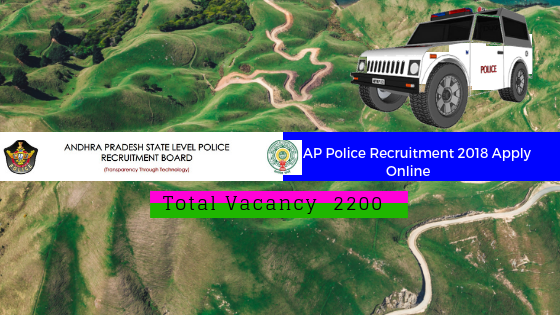 Useful Information : State Level Police Recruitment Board (SLPRB), Andhra Pradesh has advertised a notification fro the recruitment of Constable ( Civil, AR, APSP) vacancies. Those Candidates who are interested in the vacancy details & completed all eligibility criteria can read the Notification and Apply online. Useful Information : State Level Police Recruitment Board (SLPRB), Andhra Pradesh has advertised a notification for the recruitment of Stipendiary Cadet Trainee (SCT) Sub Inspectors of Police (Civil) ( Men & Women), Stipendiary Cadet Trainee Reserve Sub Inspectors of Police (AR) (Men & Women),Stipendiary Cadet Trainee Reserve Sub Inspectors of Police (APSP) (Men) in Police Department, Deputy Jailors (Men), Deputy jailors (Women) in Prisons and Correctional Services Department, Station Fire Officers in A.P Fire & Emergency Service Department (Men) vacancies. Those Candidates who are Interested in the Vacancy details & completed all eligibility criteria can read the Notification & Apply Online.